KATHMANDU, Feb 21: Two organizations belonging to the private education sector held their respective general conventions in the capital city on Monday. Higher Secondary Schools' Association Nepal (HISSAN) and Private and Boarding Schools' Organization Nepal (PABSON) organized their general conventions simultaneously in Kathmandu. According to HISSAN, its general assembly unanimously elected a new executive committee. Ramesh Silwal, chief of Golden Gate College, has been elected as president while Lok Bahadur Bhandari, executive director of Xavier International College, has been picked up as general secretary of the organization. 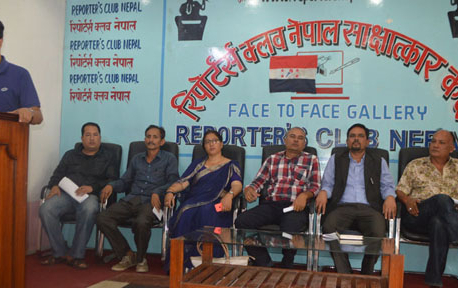 Similarly, members of the new committee are Umesh Shrestha, Babu Ram Pokhrel, Madhav Prasad Baral, Shiva Datta Gyawali, Ram Chandra Acharya, Shivahari Mudhvari and Birendra Kumar Sah. Meanwhile, the 13th general convention of PABSON began on Monday in Kathmandu to elect a new executive committee for two years. According to PABSON, its President Lakshya Bahadur KC is contesting for another term against Tika Ram Puri and Bijaya Sambahamphe. Giri belongs to the CPN-UML while Sambahamphe is close to the CPN (Maoist Center). A total of 1,850 representatives from around 5,000 private schools across the country are participating in the PABSON assembly. Election for 67 posts of PABSON will be held on Tuesday. Addressing the inaugural session of PABSON's assembly, Prime Minister Pushpa Kamal Dahal claimed that the government is serious to form the Higher Education Council to address the problems in education sector. PM Dahal, further said, that the government is ready to hold the local elections soon by amending the constitution and taking the Madhes-based parties in confidence. “The elections of federal states and provinces will be held in the next phase,” he added.